Welcome to the Long Days Short Wraps Challenge! In this challenge we celebrate the long summer days with carries that use our short wraps! The carries in this challenge will range from base-4 to base-2 (maybe base-1 if you do not use any sling rings). Sling rings are not required but could prove useful, especially in our last two weeks. 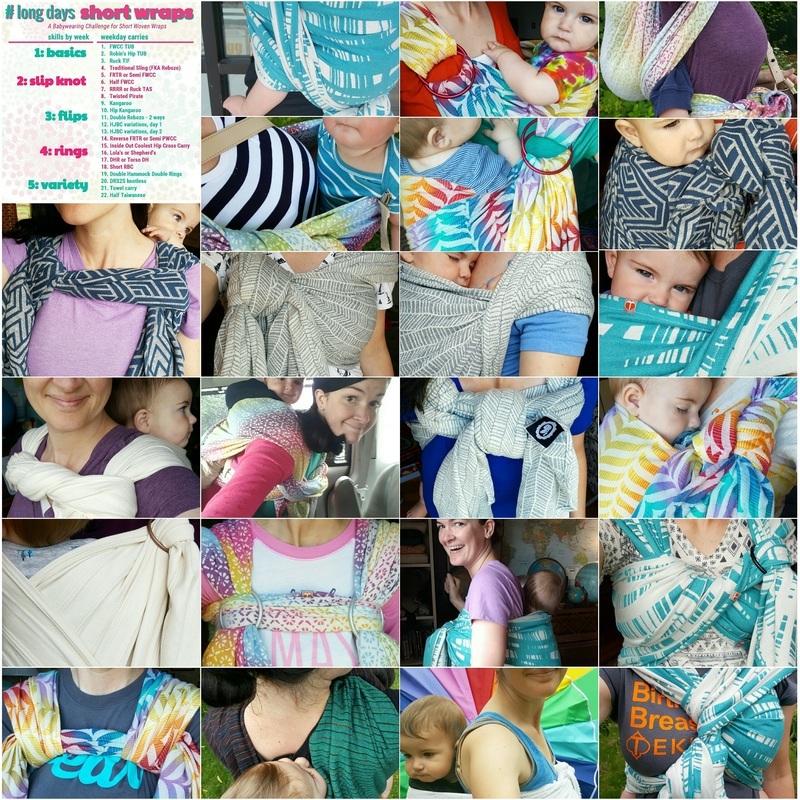 *Traditional Sling pass is the new name for the pass previously called Rebozo, as it has been voted on by the babywearing community via wearingwiki.com. Visit the link for more on the names in transition.